Giveaway Closed. Winner details in the Rafflecopter Widget below. Welcome to the first giveaway this week, where I’ve teamed up with Habitat and The Ana Mum Diary. 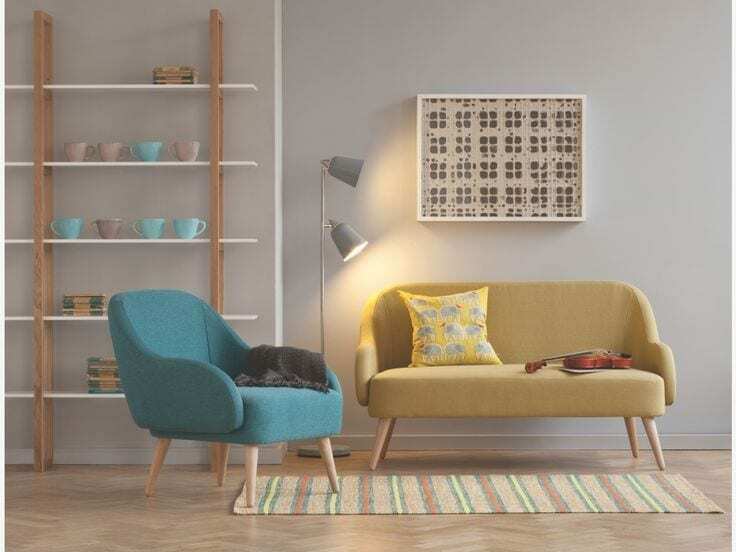 We are giving you the chance to win this wonderful MOMO Sofa in Teal, worth £395. How fantastic is that! I really wish I could enter this one myself. This stunning sofa is perfect for the modern home, and bang on trend for the coming season. Colourful sofas are particularly popular at the moment, so don’t shy away from using them in your home. Team this muted shade with brighter yellows and oranges, or if you prefer, more blues, greens and indigos. If you’re a Habitat fan, like me, do take a look around their Home section for more ideas on how to style and dress the sofa, and your living space. In terms of sizing, it’s perfect for a smaller lounge, the bedroom, or a den. If you have an open plan kitchen/living area, the MOMO sofa would make a great addition with some contemporary seating. W142 x H80 x D81cm, seat height: 42cm. Packaged dimensions: W147 x H65 x D86cm. Designed my the Habitat team, the sofa features beech legs, soft curved arms and a retro look. There’s even a MOMO armchair to complete the set. So, if you’d like to be in wtih a chance of winning this fabulous sofa, here’s what you have to do. This featured Giveaway is being hosted here and on The Ana Mum Diary. There is only one prize. It would fit my lounge which needs a bit of a modern revamp – the sofa would provide an edge! This would make a perfect addition to my teal themed living room! The sofa that’s only for mummy when she reads her magazines in the sunlight! I adore it! It would fit in beautifully as my front room is very Scandi chic – dove grey and white and this would inject a bit of cool colour! This would fit perfectly in our snug room by our woodburner so we could be cosy. 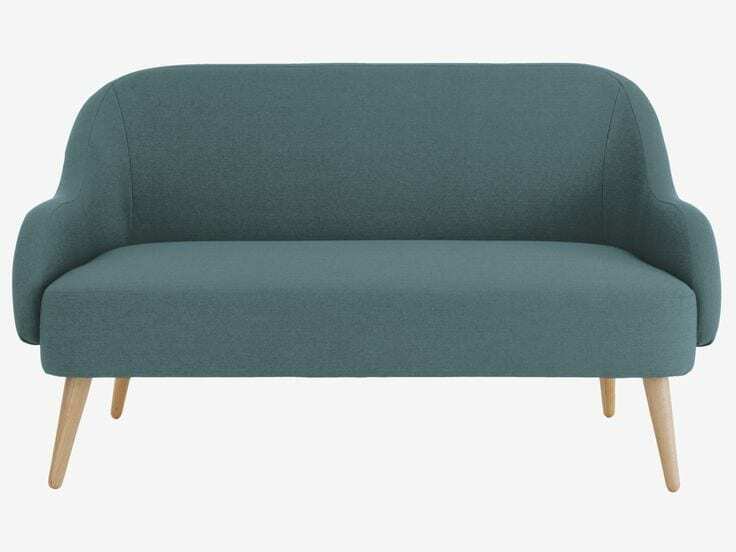 This sofa would fit perfectly in my home because I collect Mid Century Modern furniture and my home has a Mid Century feel, It would look wonderful with my Orla Kiely cushions. It would look great in the corner of the lounge just next to the bookcase, with a tall standing lamp behind it… perfect reading corner! It would fit beautifully in my Kitchen / Diner and make it an even better entertaining space. This Habitat MOMO sofa would fit my personality, fit my style and would fit perfectly into the space where the old sofa used to be! Great compact smart style sofa that would look great in my Snug. How would it fit? Through the door I suppose. This is exactly what I am looking for! I am about to have my basement converted, and when completed am looking to furnish it with a bright, modern vibe. This would be just the thing! The sofas would fit in beautifully, thank you very much!! Everything about this sofa would fit perfectly in my bedroom. The colour is perfect, the size is absolutely spot on, the style could not be more in keeping and I cannot tell you how desperately I want this sofa now I have seen it. Its absolutely stunning. I work from home & have a showroom full of dresses, so I would put it there for my customers & friends. Would transform my room & look really stylish. Moving house soon with no sofa so would fit perfectly! This would look just perfect in my lounge as it’s very modern. i’m updating our living room, using teal, white and oak accents, to create a more modern look. this would go perfectly! This sofa would fit very nicely into my front room. I already have one green shaded sofa and a really nasty red leather sofa which obviously has a design fault as both my partner and father slide off of it every time they sit on it. It really is an eyesore. This would certainly pair up with the other one and stop my partner and my poor old dad from ending up on the floor ! It would look great – could finally get rid of my old second hand sofa and the room would look so much more chic. With a big family we never seem to have enough space for us all to sit, so this would fit into my living room lovely and give some more room for us to sit. It would look amazing in our conservatory. It would be perfect, I even have a matching chair! I have an office at home and this sofa would fit perfectly. It would help create a relaxed space where I can sit with my team and discuss ideas. It would fit in our sons room which we are trying to update for him starting uni, this would be a great addition. It’s a beautiful colour & would let my guests stretch out as I like to on my sofa. It is just the right size for my conservatory and the colour would go well. Love the colour and style! It would revamp our living room, and an edge to it! The understated, but modern design, is wonderful. It would fit in my living room. I’d replace an older sofa with a more modern style. I Love the retro look of the sofa and it would match beautifully with my retro dresser & sideboard. Perfect for my conservatory, just love the colour! perfectly as i only have room for two small two seaters so the size is perfect! I would actually have this as a feature in our bedroom, I love the colour too! it would look really good in my living room and i am excited to have such a good one. Fab prize. Perfect for my home. This would look great in my dinning room. It would great, would just mean everything else in the room would have to go as it be slumming it. This would fit perfect in our conservatory, ready for a revamp for summer2015! This would fit right into my family room. Perfect! Oh, what a wonderful give away. This sofa was meant for my conservatory! Such a great sized sofa. So many are too big for a small flat. Great colour too. Would Love this New Sofa the Cat has Ruined Mine !! Perfectly into my lounge and I love the colour! I’d like to try to fit it in my bedroom. The dog wouldn’t be allowed in! I hope it would fit perfectly! Having recently decorated our lounge in Red, we have a cream sofa but would really want a grey one. It would add some colour to my favourite room! Hi I put this in my dining room. i have a mustard coloured living room, i reckon this would look great with the whole style of the room. We have two armchairs in our lounge at the moment so the sofa would mean we could cuddle up! How would it fit? Only just, is the answer in our small flat, but by heck I’d make it fit! How lovely, great colour and a great mix of modern and retro style. It would go beautifully with my orange 50s retro sofa. I’d love to join the queue of hopefuls, thank you. This would be a perfect addition to my Kitchen, it really is the heart of our home! I’d move my side board and have two sofas facing each other. I would put it under the window sill in my living room, it would be seen by everyone as you enter the room, and it would be perfect to sit on to read! I’ve just decorated my lounge in a soft stone colour, so this sofa would fit in perfectly, positioned in pride of place against the largest wall. I love this sofa so much I would decorate around it making it fit in beautifully. It would fit snugly into the Dining Room but as we are about to move house and he new property has a log cabin it would be grand for in there. It would be a lovely place to snuggle up with a good book. I would use this in our kitchen/diner so we had somewhere comfortable to sit rather than at the dining table while we prepared meals… Love the colour btw! I’d put in my study under the window.. This would be amazing to have in our home! We have had to move in with my elderly Grandfather to care for him, his frontroom is kept at tropical temperatures all year and the TV at eardrum shattering volume! We are making ourselves a little sitting area in the dining room to make life a little more bearable! The colour matches my living room carpet perfectly – it would let us curl up in comfort and style! This would sit perfectly on the back wall of my sitting room – and would let me finally get rid of the manky old sofa that’s there now!! Our living room is already teal and cream based so very easily! I might have to get rid of one of the older sofas but this matches my other one much better and my Habitat cushions! Very nicely, we’ve just created the room and the plaster isn’t dry yet. This would fit in perfectly against my centre wall so it could be seen from every part of the room. My Mum would probably claim it as her own-to read the morning paper, do her crafting and watch TV-sometimes we might even get her to share the space with the rest of us! My living room is quite small so I have been advised to get a sofa with legs to make the room seem bigger so this would be ideal. This would go perfectly in my newly living room. It would go into my conservatory which doesn’t have a sofa at the moment. It would look stunning in our garden room. Our lounge is pretty small in our new house and we have a big sofa shaped hole in it! It would brighten up my living room. It would fit beautifully. I have an open staircase at one end of the room with an existing sofa in it that we use to watch the television. It is a bit too big and this one would look so much better. we have 4 kids and we turned the dinning room into a playroom/snug for them this would look great in there and allow the eldest (16&14) somewhere to sit and relax while the younger ones play. It would go in the living room which has a duck egg blue and teal theme, so would look great! The MOMO’s Sixties-style simplicity would fit beautifully in our sitting room. I can see it under the bay window, its teal upholstery framed by our (homemade) pale gold silk curtains. Then all I’d need would be a young Jean Shrimpton to come and sit in it to achieve that perfect mid-60s vibe. Would really brighten the room up! Would bring a much needed spark to my living room! My living room is very neutral and could do with this splash of colour. I have what I call my snug where I sit and read, I’ve decorated in light seascape decor but am currently reading on a tatty old sofa which is black and doesn’t suit the room! I would adore this! I am revamping my living room and so far have white walls and beige curtains so a pop of colour in the form of a new sofa would be a lovely feature. Simply perfectly! The teal fabric sofa would compliment our current leather suite so beautifully. It would be great. As our family have grown up our seating needs have changed and a smaller sofa would allow us to rearrange our living room. Our present sofa is a faux leather one, the coating has come off so we have to cover the fabric lining with an old mattress cover and a throw, the innards are collapsing so we end up sinking or sitting uncomfortably on wood supports. Winning this sofa would give me the opportunity to redecorate as well as be more comfortable!! We’ve just discovered tonight that my sofa is broken so this would really come in handy! I would put it facing my window.